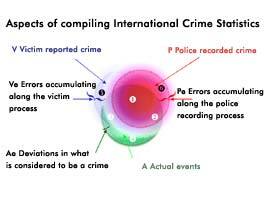 The collection of statistics on crime at the international level was first considered in 1853. The Economic and Social Council, in its resolution 1984/48 of 25 May 1984, requested that the Secretary-General maintain and develop the United Nations crime-related database by continuing to conduct surveys of crime trends and the operations of criminal justice systems. The major goal of the United Nations Surveys on Crime Trends and the Operations of Criminal Justice Systems is to collect data on the incidence of reported crime and the operations of criminal justice systems with a view to improving the analysis and dissemination of that information globally. The survey results provide an overview of trends and interrelationships between various parts of the criminal justice system to promote informed decision-making in administration, nationally and internationally. Statistics reported to the United Nations in the context of its various surveys on crime levels and criminal justice trends are incidents of victimization that have been reported to the authorities in any given country. That means that this data is subject to the problems of accuracy of all official crime data. The variety of potential problems with recorded crime statistics is illustrated in the diagram below. Data collection through the UN-CTS is conducted on an annual basis. The 2015 UN-CTS questionnaire was sent to Member states in June 2015 with a deadline for responses of 15 September 2015. Results are disseminated through UNODC crime and criminal justice statistics available here .